Good fortune comes your way with S&R New York Style Pizza's Get Lucky, Get Pizza Promo! 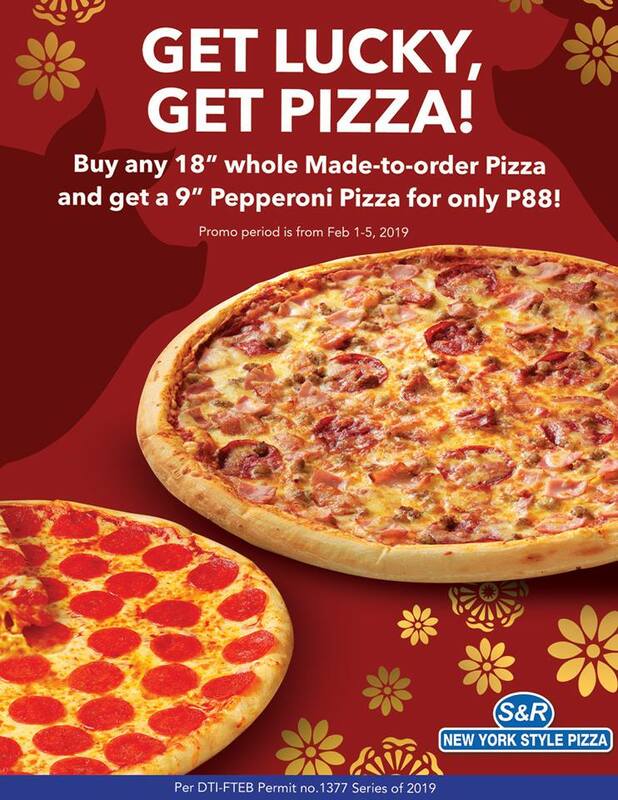 Buy any 18" whole Made-To-Order pizza and get a 9” Pepperoni Pizza for only P88! Don’t let your luck run out. Promo period: Feb 1-5, 2019 only. Available in all S&R stores and S&R New York Pizza branches nationwide!